We have a dedicated team for all our commercial landscaping work. This means you get the best level of service all year round tailored specifically to your needs. Our tree services include tree pruning, tree felling, tree stump removal, emergency tree work, ivy removal, tree planting and commercial tree services..
NL GROUP provides a professional hedge cutting service tailored to your requirements, whether you need regular hedge trimming or an annual cut. NL GROUP offer a commercial litter picking service. Our specialised equipment removes waste and helps to reduce other problems such as rodents / pests. Commercial grass cutting and mowing to all forms of grassed areas and lawns including; sports grounds, nature conservation, weed control, cemeteries, and much more. We provide full maintenance, includes watering, feeding, spray-cleaning etc... We can tidy existing planting schemes and add extra plants, or we can design and implement whole new schemes. Offering weed control and commercial weed control services as an established provider of safe and cost effective weed, algae ,moss and vegetation control. 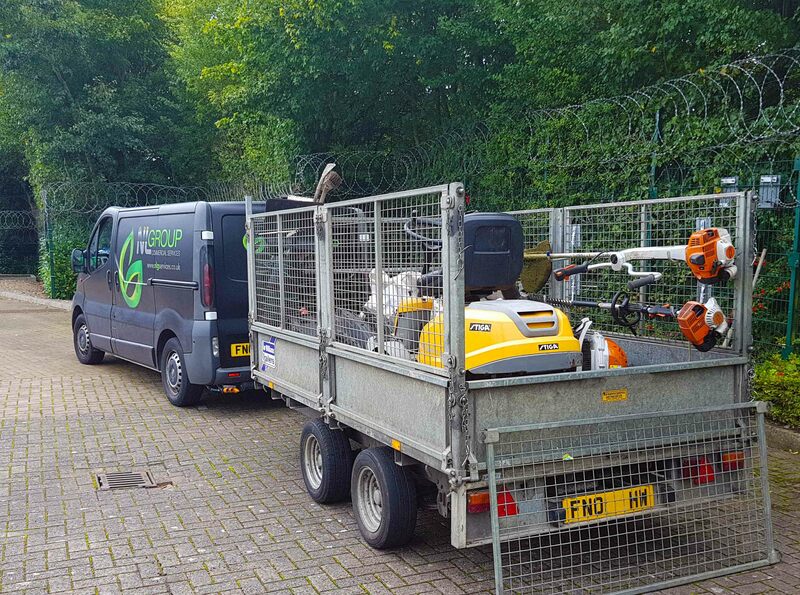 From full house clearance to removing debris from your garden and pathways. While Autumn may produce a delightful arrange of colours, for businesses with a large grounds or public footpaths it can be a rather less joyous time. (Met Office forecast model for rapid and accurate response) Gritting and snow removal. We are a specialist in the ground care industry and look to build very long term relationships with our clients that often go back over 10 years. Our experienced management team who focus on these sites deliver consistently high standards each and every time. Our commercial gardening service has been specifically designed to address the needs of its customers in the commercial and utility markets - including business parks, medical facilities, property management companies, residential care homes, hotels and restaurants.